Are you a self-taught guitarist, or have you encountered someone who has claimed to be self-taught like it was a badge of honour? I was once one of those guys who thought they were pretty good because I had taught myself a few things in the early years of my playing. I practiced A LOT, but I developed some very bad habits and a very limited knowledge of music theory and how it could be applied to the guitar. Whenever I eventually got some lessons because I just didn’t know what else to do after a few years, I found out that there were many problem areas with my playing. I also found out how much I really did not know, even though I thought I was pretty good and knew a lot! Even though many great guitar players have been self-taught, most of us need some help and direction to improve our playing. I especially found this to be the case because I just didn’t know what to practice, how to practice it, how long I should practice for, the list could go on. When I first picked up the guitar, I wanted to play a song called “Stockholm Syndrome” by Muse. Keep in mind that I couldn’t play anything at this point. If you listen to this song, you will notice that it is very fast and is not exactly an easy one to start on! Nevertheless, I was determined to learn the song without really knowing what I was getting myself in for. I could not manage to play something resembling the song until after about 8 months of playing. It was a decent attempt starting from zero, but this was a very ineffective way to learn how to play the song. If I had been guided through the necessary basics of guitar playing, then I imagine that I would have been able to play the song to a much better standard. It may have taken me longer, but I would have been a much better player by following a more realistic route to this goal. Instead, I picked up some bad habits and a sloppy technique which needed correcting. I did this with many other songs that I liked, and often got similar results. I tried to run before I could walk, which led to a lot of frustration and downright sloppy playing. As tempting as it is to try your favourite songs straight away, there are much better ways to get the results you want. 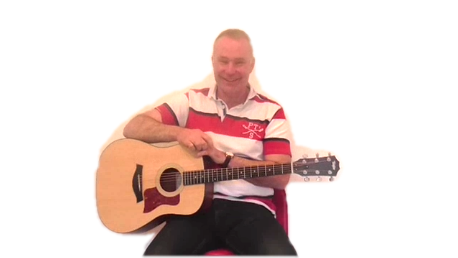 You really need a guitar teacher that will employ a proven and personalised strategy to get you the results you crave. Whilst the Internet is a fantastic resource for the modern day guitarist, there is so much information out there that it is hard to gauge what is useful and what is not. I can remember from my self-taught days that trying to understand some element of music theory was always the time when I would experience information overload. I would check out many free websites or videos on YouTube, but I would often only gain a limited knowledge of the topic I wanted to understand and often give up in the end. This was very frustrating and really made me think that learning anything music theory related would always be “too hard”. This shouldn’t be the case at all. It is better to have a dedicated guitar teacher who has a strategy in place to teach you only things related to your own musical goals, thus minimising information overload. I know that many people reading this will identify with this point. When I would try to teach myself songs, I would almost never actually finish the full thing. One of the main reasons for this was that I would try to teach myself things that were too advanced for my level of playing. I had a repertoire of pieces of songs, but almost no complete pieces of music. This was very frustrating! I did not have a disciplined enough practice ethic or schedule, so my playing really suffered as a result. It was only after I got some direction that I began to finish songs and also work on more realistic pieces of music in relation to my ability. This is a very important point to remember. Some people may well have the discipline to do this on their own, but many don’t. Those people really need someone to guide them and train them so that they can reach their musical goals. When I was trying to teach myself, I would not even consider making out a practice routine or schedule. I really didn’t know such a thing existed. My routine was to practice as long as possible, whilst sometimes taking an occasional break for food or daylight, but only sometimes. This may well have helped me build some speed in regards to playing some scales and licks fast, but I can see now how ineffective and inefficient my practice schedule (or lack of it) really was. It led to frustration and a total vacuum of skill and knowledge in other areas of my guitar playing. Instead of having a regular structured practice schedule, I would just keep playing and think that time would take care of the rest and make me an awesome player. It was only a number of years later that I began to become a much more rounded guitar player and improved my weaknesses by implementing a much more efficient and effective practice routine. Give me 30 minutes and I can train you to practice much more effectively! Do you know what will happen if you have no pressure to practice and actually complete songs or pieces of music? You will likely not complete them! I know this because I experienced this myself in my first two years. One of the best reasons to get a guitar teacher to help you reach your musical goals is because it will give you the necessary incentive to practice and actually achieve something. Without this pressure myself, I found that I would often sit in front of the TV with my guitar in hand and practice really lazily. I know many of you can identify with this. If I had been under pressure to complete something, then it is far more likely that I would have done so knowing that I had to go to a guitar lesson with a guy that would be asking me about it, and that I was paying for it too. I know that when I was trying to teach myself, I would focus on the things that I could do, which were consequently the things that I found more fun to practice. I could play up and down some box shape scales quite comfortably and cleanly, but I didn’t know how to actually use these scales in terms of creating melodies and solos over chord progressions. I also did not have a clue what chord progressions really were come to think of it! I could expand on a whole host of other things that I would and would not practice, but the main point here is that I had no plan to overcome the problems that I was avoiding. Instead, I wasted my practice time. If I had got some proper direction from a dedicated guitar teacher, then I could have overcome these problems quicker and improved other areas of my playing and knowledge as well. If you try to teach yourself in a vacuum where you only have access to your own brain and whatever sources you are using like books or the Internet, you will soon run out of ideas on how to progress. Trust me, I know! For example, when I wanted to write a song, I would just use a trial and error process and hope to stumble upon something that sounded good. Did you know that there are really easy ways to write songs without even touching a guitar? I sure didn’t until I found out! This is because I didn’t know what I didn’t know. You do not even need to be a really advanced player either. There are whole areas and concepts that you will not get opened up to when you box yourself into a room without input from other sources. I strongly urge you not to do this as it will limit your growth as a guitar player. Avoid this by getting in touch with someone who can open up many doors for you that you didn’t even know existed. As someone who has tried the self-taught guitar player route, I strongly urge you to get some proper direction from a guitar teacher that will create a personalised strategy to help you achieve your musical goals. Join these happy students and achieve your musical goals. Don’t delay any longer. Copyright © 2015-2019. 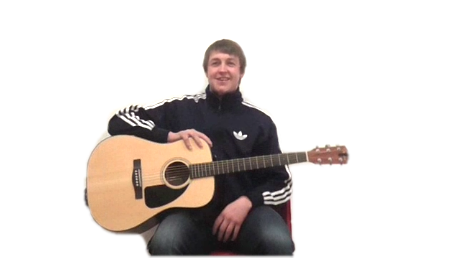 Larne Guitar School. All Right Reserved.